Kill Your Boss fully lives up to the mantle of its markedly brutal title. The novel, a debut by veteran Hollywood screenplay writer Shane Kuhn, is refreshingly original and unapologetically hilarious. It, too, can provide an odd sense of catharsis after a terrible day at work. This page turner is almost cinematic, with shades of the Brad Pitt and Angelina Jolie's romantic comedy-slash-action film Mr & Mrs Smith (2005). Kuhn's Hollywood background means the protagonist is, conveniently, a pop-culture junkie who describes scenes from Martin Scorsese films, among others. 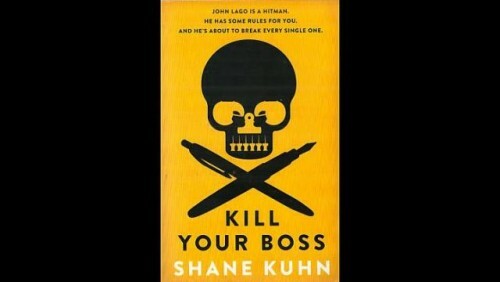 Kill Your Boss is part confessional, part manual and takes on the first- person voice of protagonist John Lago, a 25-year-old professional assassin with HR, Inc. HR stands for human resources and the company is believed by outsiders to be a placement agency for interns. Yet, it is a facade for professional killers, honed from a young age to not miss a target. The company operates on the principle that interns are invisible and hence, can infiltrate the company and perform the hit. It seems quite Robin Hood-esque in how they profess to be doing good for the society - their targets are almost always white-collar criminals just out of law's reach. Because the disguise will not work if interns are too old, they are forced to retire at the ripe age of 25. Lago's last assignment, and most dangerous, is at one of New York City's most prestigious law firm. He prides himself as one of HR, Inc.'s best and as such decides to chronicle his last assignment as a how-to guide for future killers. We see rules such as "Rule #4: Learn to make the perfect cup of coffee" - itself rather reminiscent of action comedy film Zombieland (2009). But ego, complacency and emotions predictably get in the way, which is where the novel starts to sag. Bosses who pick this up will never see their interns in the same light again. Check out the intelligent cover art - a skull and cross bones at first glance, they in fact comprise office stationery such as thumbtacks and pens.